Gamers are a funny lot. On the one hand, we want a game with flexibility and freedom in decision-making. Restrictions and limitations often mean a less sophisticated experience and leave us feeling like the game is playing us, rather than vice-versa. However, on the other hand, most of us appreciate designs that are structured to rein things in a bit, and we like to have a firm grasp on what the game allows. Too much of an open-ended framework often leads to confusion, significant play length, and agonizing downtime. To address this intriguing paradox, game designers often turn to a very simple and basic mechanism. Action Point Allowance System: How Does it Work? Now wait a minute, don’t you take action in every game? So what’s so special about this mechanic, then? Yes, obviously all games involve doing something, which would logically be defined as “action.” However, the action point allowance mechanic refines that into a more specific structure, with an emphasis on allowance. In its purest form, there are three prominent characteristics to this system. The first trait is that you are allowed do more than one thing on your turn, during a phase, or in a round, etc. There are many games that give you one move or action each turn, yet that is hardly in the spirit of an allowance system. However, this mechanic does not grant you unlimited actions. Some designs allow for open-ended moves, permitting you to do as many things as possible based on what you have and/or can pay for. Instead, the action point allowance system allocates players a certain number of action points, although different games may call them by other terms. Usually that number is consistently fixed, but some games include mechanisms in which to earn extra action points, increase the number available, or even lose some. A second defining attribute of this system is that there is a pool of unique and distinct actions available from which to choose. A game with the same repetitive action may let you perform it multiple times, but is not allowing you any sort of selection. For example, playing three cards on your turn certainly counts as three actions, but each is mechanically identical. There’s no choice in the action you take, just the card that you play. Furthermore, the design will have preferably more than two choices of action, if only for variety’s sake. But again, as in restricting the number of action points, the system works best when limiting the selection of choices to a manageable amount. Yes, that number will vary from title to title, but such self-limitation is one of the benefits of the system. The final major distinction of action point allowance hinges on availability. That fixed, limited pool of actions should consistently be accessible every turn and to all players. When a game randomly makes actions available, restricts them to non-consecutive-turn use, and/or allows players to block one another from certain options, the design then begins to venture into other mechanics. Therefore, the action point allowance system can be distinguished from many titles that use cards, role-selection, or worker placement (as a few examples) to grant actions, but then often have elements to restrict the availability of them. Railways of the World (2005) is currently the highest-rated, almost pure action point allowance game (#38 on Board Game Geek). There is a bidding phase for turn order at the beginning of each round and an income earning phase at the end. However, both are highly influenced by the action phase, the heart of the game. Each round, players alternate taking three actions. They can lay track, urbanize a city, upgrade their engine, deliver a goods cube from one city to another, or take an Operations card. You always have three action points per turn and the pool of options remains the same every round. According to BGG’s database, Special Train (1948) was the first title to utilize action point allowance. However, from the information posted about the game, not only are action points earned randomly by rolling a die, they’re also just really movement points to get your trains from one point to another. Having said that, the mechanic has evolved from the concept of movement points, which early titles employed primarily to resolve mobility. That aspect has been fundamental to an untold number of war and miniature games over the years at various levels of complexity. In addition to mere movement or attacking, points might be expended for other things like form square, recover, entrench, and numerous other possibilities. Early on, thematic non-war games began to use the allowance system to resolve movement, in addition to other actions. Circus Maximus (1979) employed action points for moving chariots and attacking your opponents. Armada (1986) assigned players a whopping 10 action points to spend on movement, attacking, exploring and cashing in gold. Full Metal Planete (1988) was one of the first that allowed players to save action points for use in later rounds. And the CCG Netrunner (1996) offered a twist on the system by creating some actions that were unique to each side. Then in 1999, design duo Wolfgang Kramer and Michael Kiesling published a pair of titles, Tikaland Torres, which would really come to define the action point allowance system. These two games were the first widely successful and popular Euro games to utilize the mechanic as their primary engines (Tikalincludes a small, but important, bidding element, too). Each player would have the same number of points every turn to spend on an action from an identical pool of choices. Furthermore, some actions cost more than one point. While not inventing the concept, Kramer and Kiesling took it beyond a means to support movement or other mechanics and instead made it a central focus in and of itself. The results are that Tikal and Torres are arguably the genre’s formative designs. As with any good mechanic, over the years other designers have borrowed, tinkered with, and improved upon the action point allowance system. Urland (2001) implemented a bidding scheme to earn more action points. Through the Ages (2006) allocates players a set number of points in which they can assign to two different categories, each with a unique set of choices. Yet you can also earn more points through certain developments. On the flip side, some titles trigger circumstances in which you can loose points. Defenders of the Realm (2010) allots actions based upon your life points, which can decrease as you take hits over the course of play. 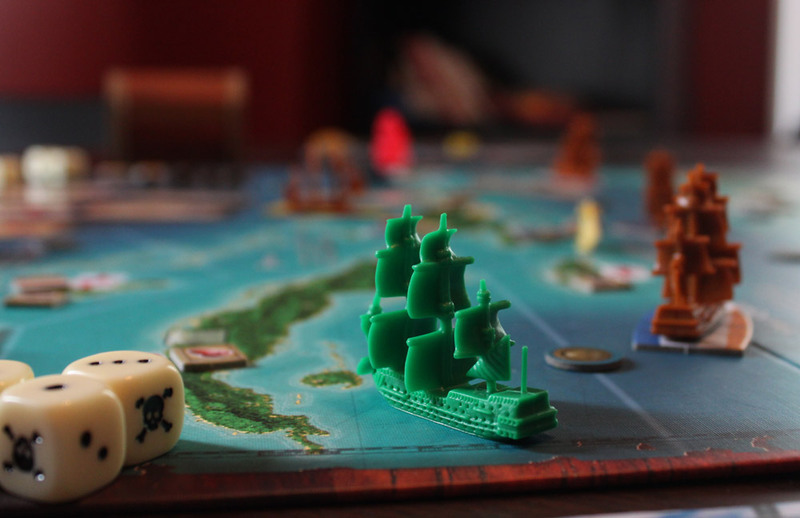 The pick-up and deliver title Tahiti (2012) offers yet another fun twist in which the number of actions you get each turn can depend on how many goods you have loaded in your canoe at any given moment. Legends of Andor (2012) disguises action points as “hours” in a day of which you get seven, and some actions take longer times to resolve – plus you can gain more time by voluntarily taking damage.So there are numerous ways in which this system can take form. Many times, a game may even have this basic mechanic without the designer or publisher specifically identifying it as such – it can be that intrinsic an element that it will often be taken for granted. The action point allowance system offers gamers both flexibility and structure. You have the freedom to make decisions, yet it imposes some limits to reduce confusion, restrain game length, and minimize analysis paralysis by keeping things concrete. If done well, the game will present these choices in a manageable fashion that gives players a real sense of ownership and control over their choices. This framework is also typically easier to teach new players. “Here’s your list of options, and you can do X number of them.” Of course, that’s not to say that decision-making is always easy. Learning how to take advantage of those options in strategic play is fun and challenging. This mechanic often creates nice tension, as a good design will always make sure that you don’t quite have enough actions to do everything you want! Finally, the system meshes very well with other mechanics. In fact, the top two rated titles that utilize a form of action points are Through the Ages (#2) and Twilight Imperium: 3rd Edition (#28), both of which have much, much more going on than mere action allowance. Even on a less complex level, Goa (rated at #38) combines a solid action allowance component with a bidding element to create a smooth and elegant game. While the mechanic can help contain analysis paralysis, it cannot cure it. Indeed, really the biggest issue with the system is the risk of falling into analysis paralysis. Players that tend to take agonizingly long turns may only find that compounded when confronted with a number of action points. Whereas there’s a tendency to take an inordinate amount of time on their one action allowed in other titles, now they’re spending that on two, three, or even more actions every round. Furthermore, as players like to think ahead, they now must analyze how numerous actions over the course of, say, just three turns will all interrelate with each other, as opposed to only three such decisions in a game giving you one thing to do each turn. Other than that, some players could find themselves taking longer turns than normal if they become flustered with the choices arrayed before them. In those cases, the structure of the system would create more hesitation, rather than serving as an aid. Instead of a fun tension, they may rather feel frustration. Obviously, a large part of how players react to the mechanic is dependent on their personal preferences; but admittedly, making decisions in life is not always easy. One final note: hopefully a game utilizing this mechanic will include some method in which to keep track of how many actions you have remaining during your turn! Often times, the design includes a track or tokens to mark the number of actions as you take them. If not, and if you’re like me, you can often lose count! Survive! 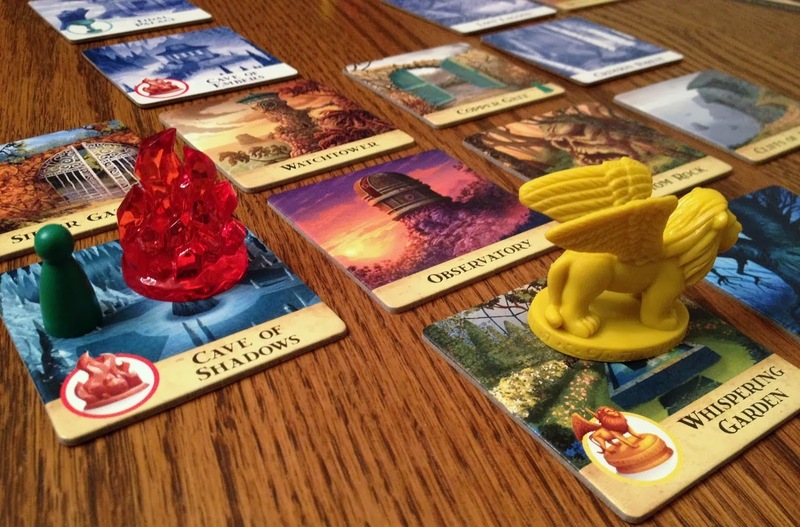 Escape from Atlantis is simple, exciting, and great for the whole family. Torres was not the first game with this mechanic, but it was one of the first to stand the test of time. While its fraternal twin that year, Tikal, won the Spiele des Jahres, Torres is even more purely action point allowance. But we can recommend Tikal, too – the first of the “Mask” series, all using this system. Pandemic is a clean and pure action point selection game with tense, cooperative play and decision-making that really matters. 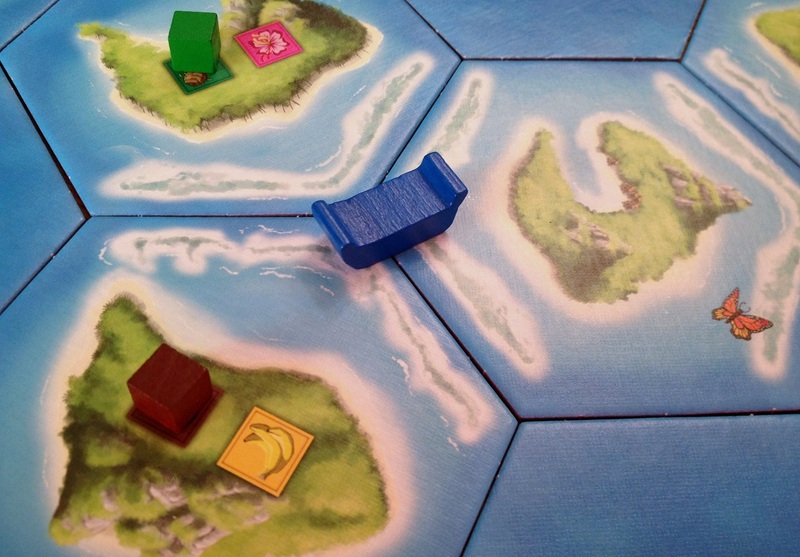 If playing mostly with kids, check out its baby brother, Forbidden Island. Here’s a brief timeline of titles using the action point allowance system. This is by no means a comprehensive list, merely a representation of some popular, unique and/or significant games utilizing the mechanic. What do you think about the action point allowance system? Do you have other thoughts about its benefits or drawbacks? Perhaps you have a favorite title that’s not on our recommend list or the timeline?